Ronald P. Hutchinson passed away swiftly and unexpectedly from cancer on February 2 in New Jersey, he was 67. He was beloved by many for the second career he took on as a volunteer; finding, preserving, and restoring hundreds of films from the early “talkie” era. He was active even recently, posting a final detailed article on Classicmoviehub.com on January 22nd. His passing came as a shock to the many friends and associates whom he has helped along the way. Many recall his generosity in lending materials and advice as they worked to complete books or other research related to early film. The Vitaphone Project brought to life films from the brief period (1926-1931) when picture reels and sound records had to be cued up separately. In many cases, the film has survived decades in obscure archives while 78 RPM collectors preserved the shellac records containing the sound. Many of these films were “shorts” highlighting work of Vaudevillians, comedians, and musicians that might otherwise be lost to us. Tracking down these lost gems and bringing them back together was Ron Hutchinson’s magic. Among many highlights of the project in 1994 they discovered a ten minute Al Jolson film predating The Jazz Singer by a full year, the film had been considered lost since 1933. The following year they were able to pair it with the proper shellac disc, containing three songs, found in a barn owned by the descendants of someone who worked in the movie business. More recently, a 2018 discovery led to a professional restoration of a Vitaphone short featuring Jack Teagarden and a 20-year-old Benny Goodman with Ben Pollack’s Park Central Orchestra in 1929. The Vitaphone Project garnered substantial national attention when they found and released a lost early color Three Stooges short. Hutchinson established the Vitaphone Project in 1991 with the help of several other film enthusiasts. Together they have located over 6500 shellac sound disks held in private collections and compiled a database to aid matching them with newly identified film. They cull film from archives, primarily at the U.S. Library of Congress, UCLA’s Film & Television Archive, and the British Film Institute, and work with Turner/Warner Bros. to make the movies available. Through their cooperation, Warner Bros. has released over 250 Vitaphone shorts to DVD. The Vitaphone Project itself has restored dozens of shorts and at least 12 feature films, raising $400,000 in donations for the preservation work. Professional restoration of one 8-10 minute reel costs around $12,000. There are scores of films for which no sound has been discovered, but might yet be. Many further releases to DVD are planned. Vitaphone Project films also appear at vintage movie festivals and on the cable channel Turner Classic Movies. A memorial service is planned for Saturday, February 9th from 1 – 4 pm at the Piscataway Funeral Home in Piscataway NJ. 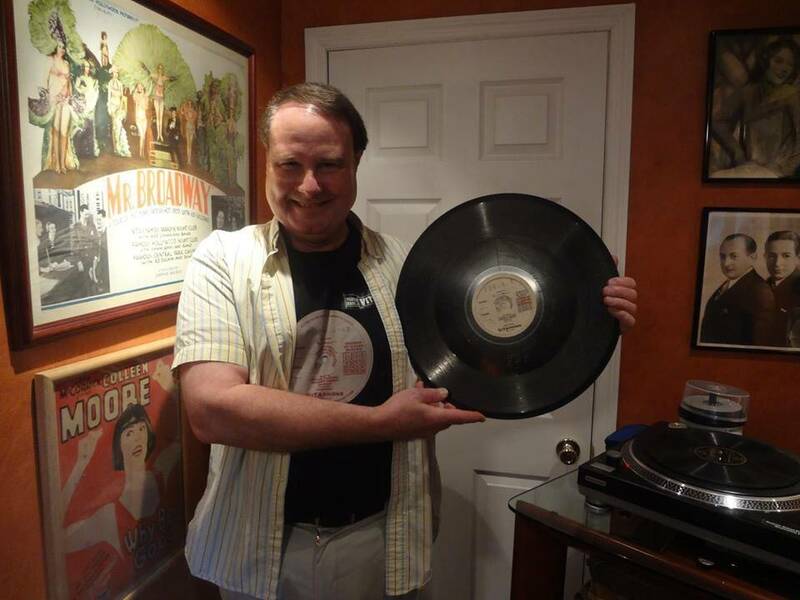 The family is also considering a Celebration of Life to be held later in the year which may also serve as a benefit for the Vitaphone Project. The Syncopated Times would appreciate having someone closer to Ron write a remembrance of him and his work for our March issue. Contact us if you can be of service. Previous Viola Smith’s Century in Music- An Interview with the World’s Oldest Drummer.